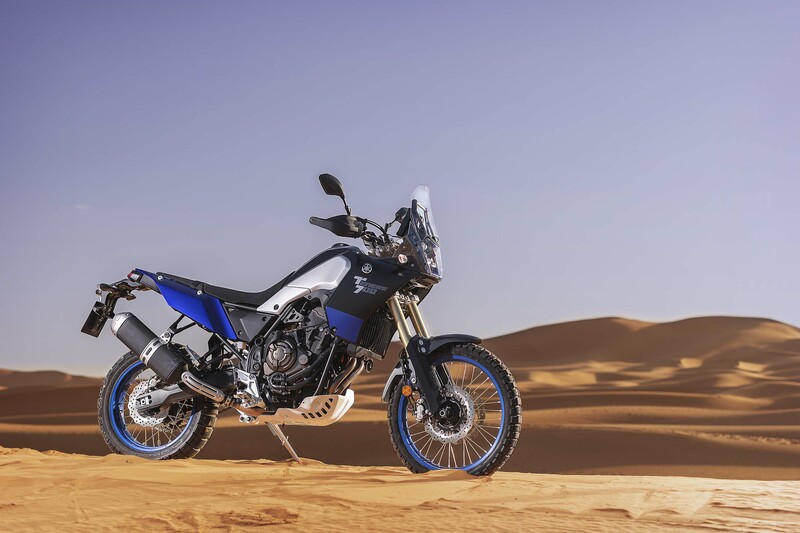 Topline: Yamaha’s long-anticipated, often-teased, lightweight adventure touring bike is finally confirmed for production. Citing different regulatory standards for different markets, Yamaha says the new bike won’t be in U.S. dealers until the second half of 2020. 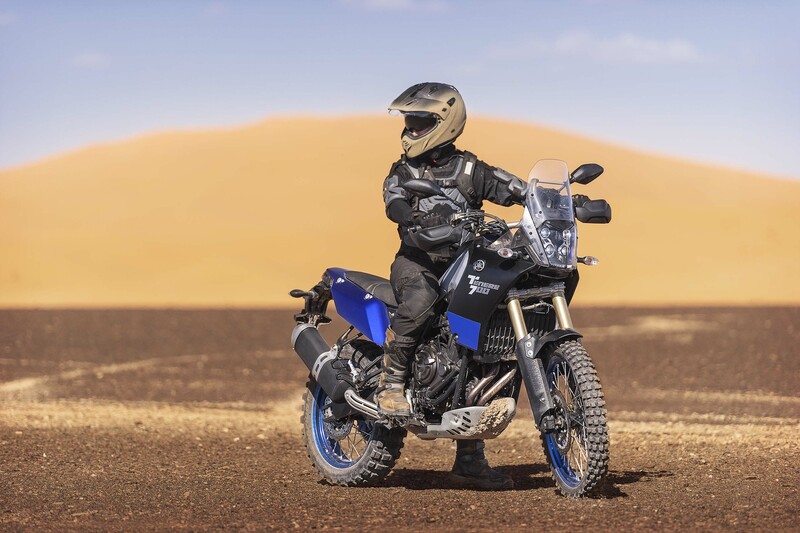 What’s New: The Ténéré 700 is an all-new model that will serve as a lighter, more agile alternative to the bigger Super Ténéré adventure bikes. It promises great off-road performance and go-anywhere capability which will hopefully come in at a reasonably affordable price which has yet to be announced. Power comes from a 689cc four-stroke parallel-twin engine that appears to be the same one that powers the MT-07 naked bike and XSR700 sport heritage bike. 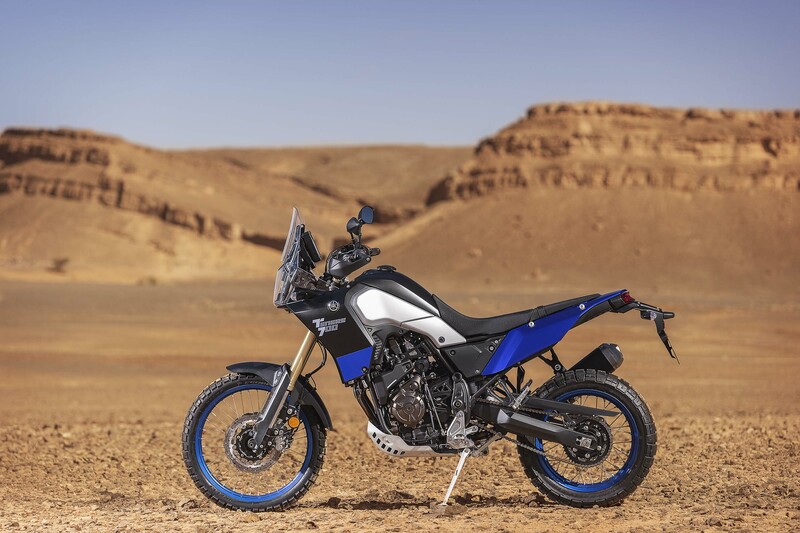 There are no official performance numbers for the Ténéré 700 at this time, but in the MT-07, this engine makes 73 horsepower and 50 pound-feet of torque. A new double cradle tubular steel frame is nice, slim, and compact with a wheelbase of 62.5 inches. The point is to be light enough to be tossable and strong enough to take a beating. The bike has 9.4 inches of ground clearance which means you’ll be able to clear a lot of terrain without skipping a beat. The bike’s slim, long-range fuel tank with a 4.2-gallon capacity promises an average range of 217 miles meaning you can go pretty far off the beaten path without stopping for fuel. Part of the bike’s capability comes from its suspension. It will have adjustable, flex-resistant 1.6-inch upside down coil-spring forks up front with 8.2 inches of travel and a remotely adjustable rear shock absorber with 7.8 inches of travel. Easy suspension adjustment ensures this adventure bike will be comfortable both on and off the road. The spoked wheels are 21 inches in front and 18 inches in the back. Stopping power comes from switchable ABS with dual discs in front and a single disc in back. 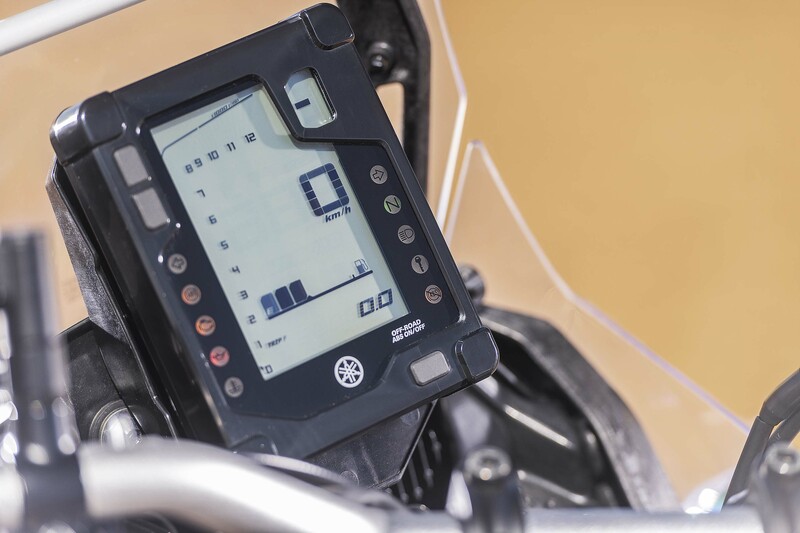 While the bike is stationary, ABS can be temporarily turned off for off-roading. 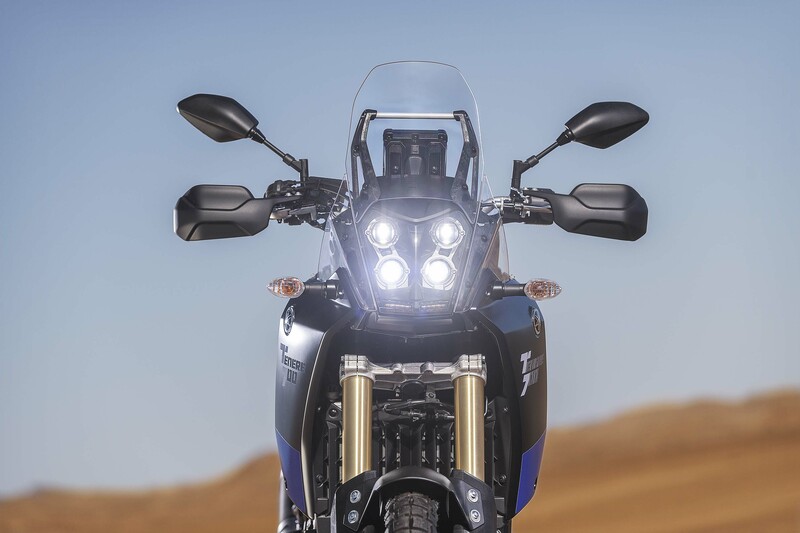 The Ténéré 700 will have a windscreen and handguards to protect the rider from the elements along with some cool rally-inspired LED lighting in front including two LED position lights. Information comes from compact rally-style instruments. Quotable: “With a spirit of adventure embedded within its DNA, every Yamaha Adventure Touring motorcycle is rugged, tough, and reliable. 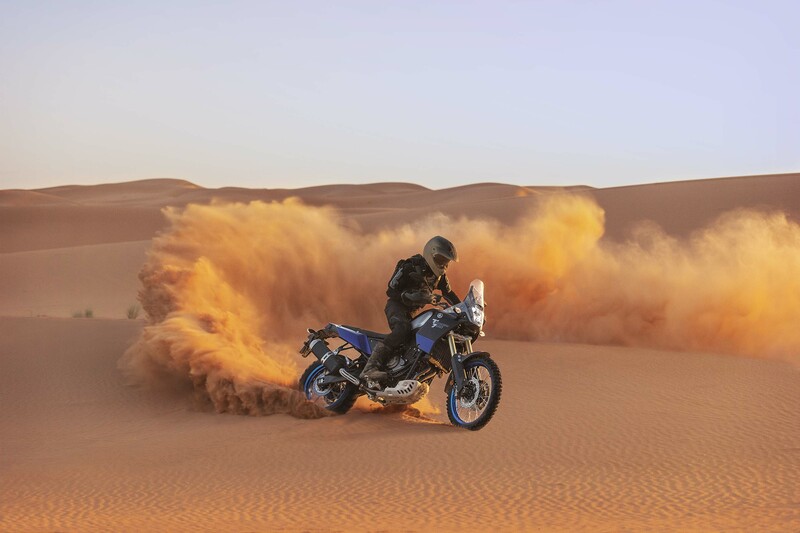 Each Ténéré model opens the possibilities of endless travel and enables riders to discover a feeling of untethered freedom. 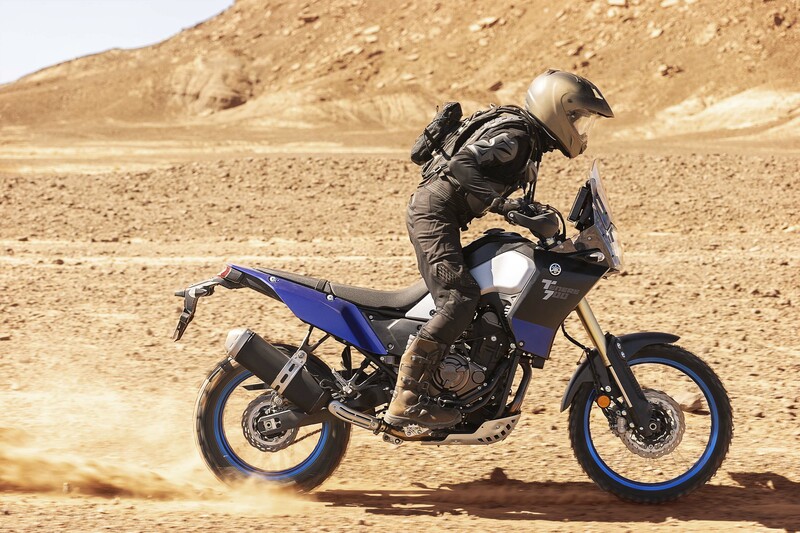 Thanks to Yamaha's in-depth oﬀ road expertise, the all-new Ténéré 700 is a lightweight, no compromise Adventure Touring motorcycle with one of the highest speciﬁcations in its class, and one of the most exciting and signiﬁcant new Adventure models to be launched in many years,” said a Yamaha press release. 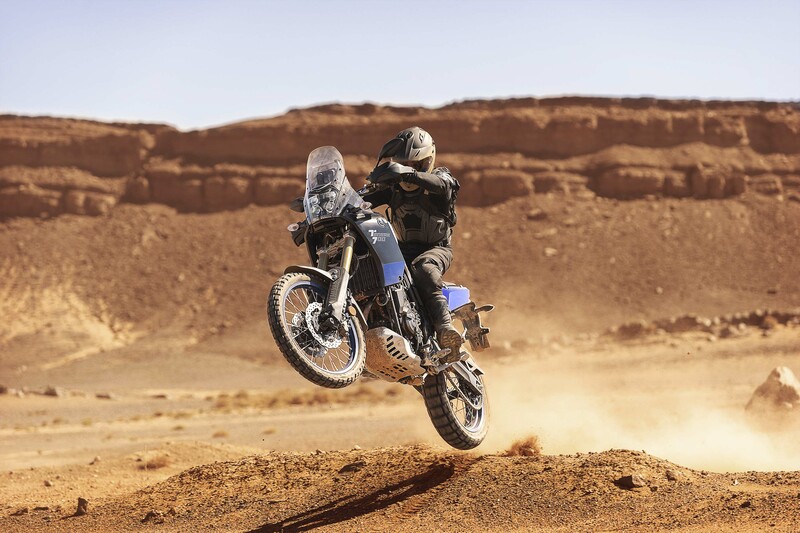 What You Need to Know: It’s awesome that the Ténéré 700 is finally confirmed for production two years after the teasing began with the T7 back in 2016. However, it’s a bummer that it’s still pretty far away from being ridden by Americans. That said, the production model looks satisfactorily similar to the concepts we’ve seen. 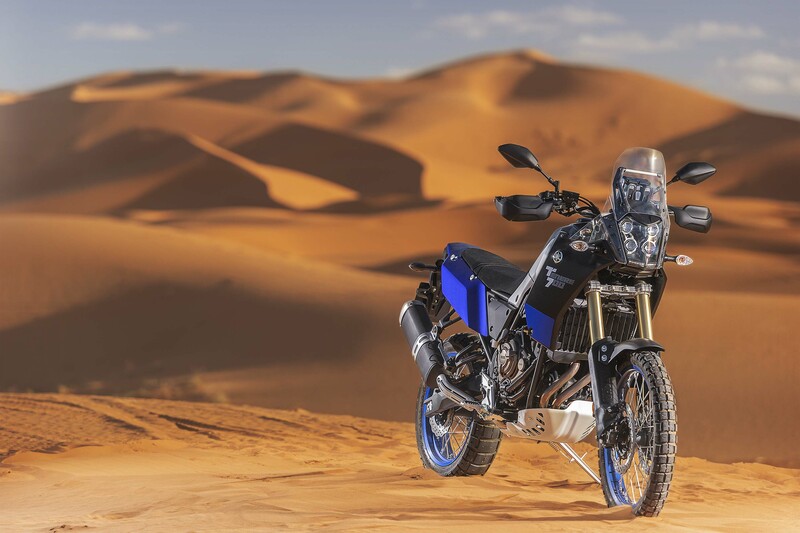 With the right frame, powertrain, and everything else, it looks like the Ténéré 700 can live up to the hype Yamaha has been building around this bike for years.